On 16th December 2016, Annabelle Wilkins participated in the 2016 Symposium of the Research Group on Collaborative Spaces (RGCS) at the emlyon campus in Paris. 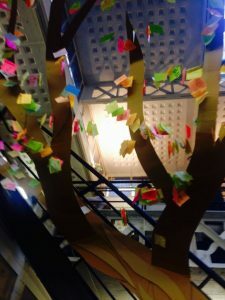 The symposium on Work and Workplace Transformations brought together academics and practitioners interested in work and workplace transformations, in particular at the level of collaborative communities and social movements. 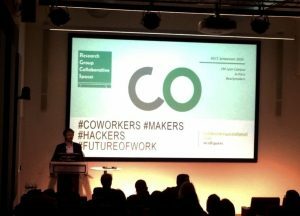 Participants discussed the collaborative potential of coworking, makerspaces, hacktivism and the sharing economy, presenting research on a diverse range of subjects and from interdisciplinary perspectives. In his opening keynote, Dr Bastian Lange proposed makerspaces as arenas for new forms of value creation and the co-production of knowledge. 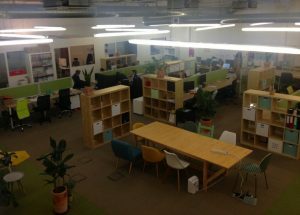 The academic programme included parallel sessions on new forms of collaborative workspace, the politics of coworking and the ways in which members perceive and appropriate coworking spaces. Presenters discussed the extent to which coworking can empower precarious freelance workers and the potential for collaborative movements to contribute to cities and neighbourhoods. Other presentations discussed new forms of collaborative space, digital platforms and the diverse meanings of the ‘sharing economy’. 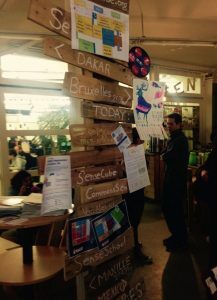 In the afternoon session, participants embarked upon a ‘scavenger hunt’, in which we explored a number of coworking spaces and makerspaces in Paris. Other participants came together to design the collaborative ‘third space’ of the future. 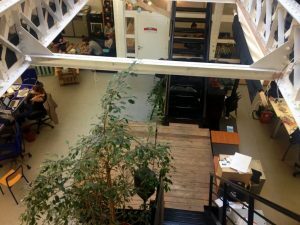 Visiting Sensespace, a venue for collaborative work, education and experimentation in Paris.